Many small chickens bred in the professional breeding chicken cages. One hexagonal wire chicken cage with many chickens in it. One chicken coop put on the lawn garden also with two chickens running in the coop. 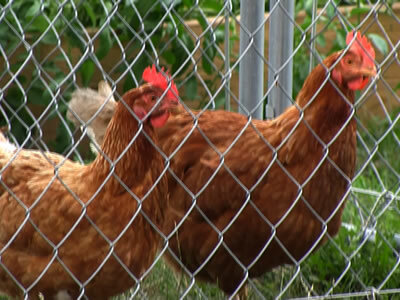 Some chickens and ducks are raised in the chain link chicken cage. One picture of lots of small chickens running in the chicken coop that attached with wheels. 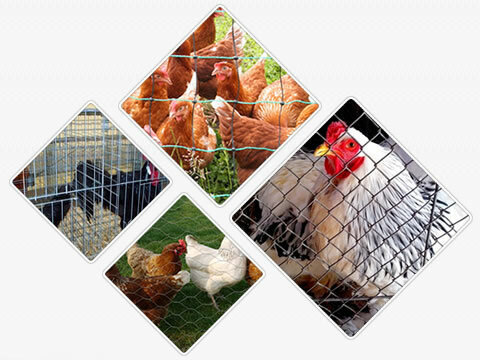 Our company focuses on manufacturing attractive in price and quality chicken cage. 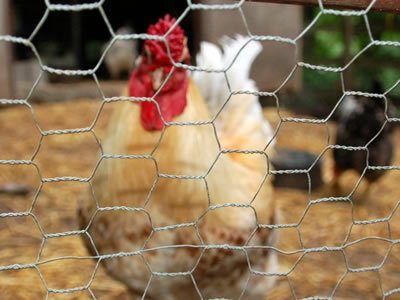 The main wire mesh making the cage is hexagonal wire mesh, chain link wire mesh and welded wire mesh, sometimes also the knitted plastic mesh can replace the wire mesh to play the same role for your pets or poultry raising. According to the different surface treatment, the wire mesh is divided into two kinds: galvanized and PVC coated. 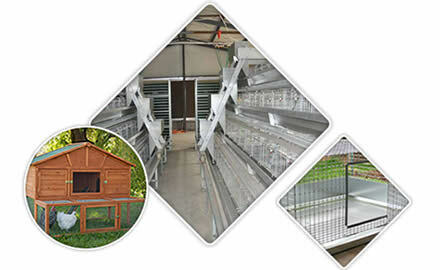 In addition, there are extraordinarily versatile pigeon cages and rabbit cages to meet your needs. You can design the cage depending on your personal idea. For example, the cage can be made of the living nest to provide weather resistance area and the specious backyard run for your pets to ramp around, also the cage designed is used indoors or both indoors and outdoors. 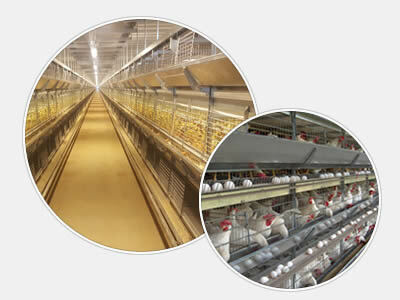 The professional breeding poultry cages can be made according to the clients' different requirements. 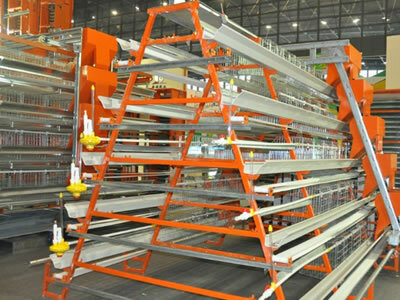 The outstanding advantages of the different kinds of cages. 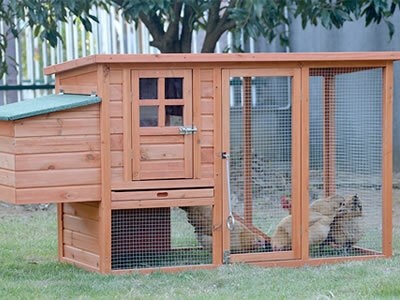 Chicken coop, the modern type cage which is versatile, strong and matches with the owners' house. All the device related is included. 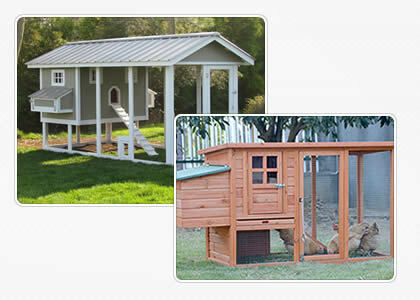 The durable wood construction, sliding ramp, removable bottom sliding tray, nesting box and backyard run consists to form the unique type to offer sufficient protection and shelter from the elements. Professional breeding chicken cage, with the professional automatic system it is greatly convenient to manage. The feeding system ensures the fodders distributed uniformly. Water supply system guarantees the moderate water flow. Egg collection system with the U type design avoids the risk of egg falling. Ventilation system fresh the chicken house efficiently also the manure removal system makes the manure easy to remove and recycle. Different materials of the chicken cage. Pigeon and rabbit cage provided to satisfy your needs. The same main materials and characters as the chicken cage. They also can be designed by yourself as the chicken coop to match with your own house or the small size cage put indoors. What's more, the farm breeding cage helps you with the professional poultry raising and also the backyard poultry cage is offered. As you can see, there are so many shinning points about our products, please contact us at sales@chicken-cages.com without hesitation if you are in needs, we are looking forward to accepting your order. The cage with wheels can be moved easily which can be held both indoors and outdoors, every time when I want to move it, there is no doubt that i can do it just by myself. I like this design and it looks beautiful, the wire mesh is also durable.